Hi! How goes it? I was working on this mostly today, doing some social media, following up with some clients, applying for an exhibition, updating some works on my Redubble shop that now includes this! 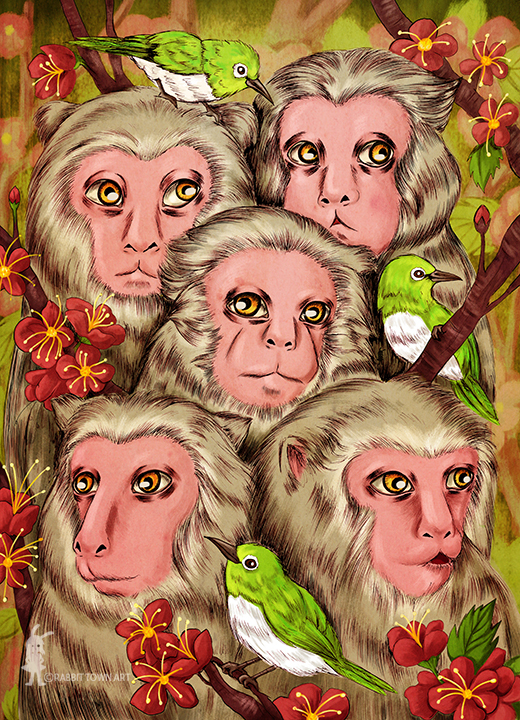 The Macaques were suggested by a friend of mine, who just came back from Taiwan recently. I guess while am on a downtime, this is now a good time to draw some of my ideas and to update my sites...maybe join a few other selling ones!